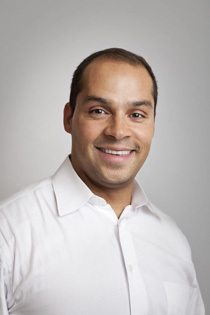 Luis Garcia received his Bachelor of Science Degree in Biology from Boston College in 1997 where his genetic research landed him in an international scientific publication (Development, 1997) as an undergraduate. He received his Medical Degree, from Universidad de la Sabana in Bogota, Colombia in 2005 and served as Medical Director and Chief Science Officer of “Salud Futura” Clinic in Bogotá, Colombia until June 2010 where he worked with Neurofeedback, Neural therapy, Ozone therapy, Homotoxicology, Neurolinguistic Programming, Chelation therapy, DMSO therapy, Bioenergetics, Nutritional therapies, traditional western medicine and Biomagnetism. Dr. Garcia is licensed to practice medicine and surgery in Colombia, South America. He is currently applying his knowledge of complementary and alternative modalities as well as providing bioenergetic, magnetic and nutritional modalities that support normal structure and function with clients in the New York-New Jersey area. Dr. Garcia honed his Complementary and Alternative Medicine (CAM) skills by learning from top experts in the field. He has spent many years traveling throughout the US, Mexico, Cuba, Ecuador and Colombia mastering an extensive variety of CAM techniques. His goal is to stabilize the body’s pH and stimulate the immune system through the use of magnets and bioenergetic therapies, which assist the body to regain its self-healing electromagnetic balance naturally. Dr Garcia is recognized in Colombia as one of the leading CAM medical experts in areas including cardiovascular disease, gastrointestinal disorders, diabetes, chronic fatigue, autoimmune disease, cancer and other concerns associated with aging.